SPRING IN FOR A VISIT! Beautifully renovated apartment homes under new management. $999+ for a 1 Bedroom. $1,200 for a 2 Bedroom. $1,399 for a 3 Bedroom. Call today for details! Take your place at our award winning community. 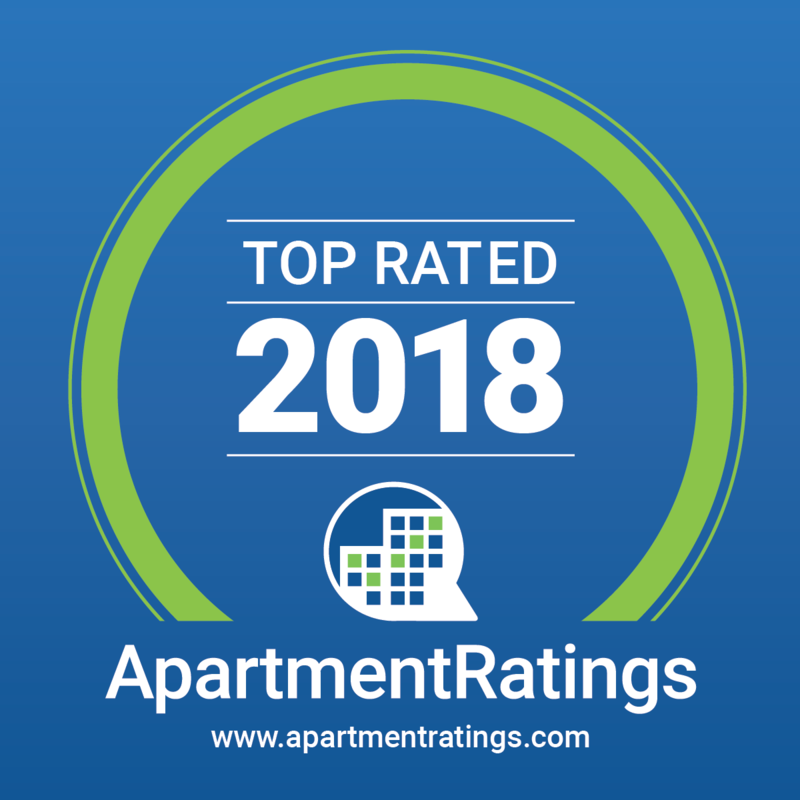 The Clayson was named a 2018 Top Rated Award Winner by Apartment Ratings. Suburban living has never looked better than from the inside of one of our stylish one, two, and three-bedroom apartments in Palatine, IL. Newly-renovated, our homes bring a touch of luxury into your life, while the rich amenity package makes The Clayson Apartments a one-of-a-kind find in the Greater Chicago Area. Designated dining areas, large master bathrooms, coat closets, spacious living rooms, and linen closets are just a few of the comforts you’ll enjoy inside our homes. A private patio or balcony brings nature closer, while the picturesque views of our private lake and landscaped grounds bring additional peace of mind. You won’t miss out on space, either. Our one-bedroom apartments span between 650 and 875 square feet, the two-bedroom layouts encompass 875 or 950 square feet, and the three-bedroom apartments sit proudly at 1,225 square feet. To top it all, the newly-revamped homes are infused with luxury touches such as resilient wood-style floors, large vanity mirrors, stainless-steel appliances, and white shaker-style cabinetry. If the apartments seem amazing, wait until you see the on-site amenities. Featuring a newly redesigned clubhouse, fire pit lounge, sparkling swimming pool, and a club-quality fitness center, as well as bocce ball, tennis, and volleyball courts, our award-winning community makes suburban living even more desirable. You’ll find the surroundings are just as enticing, with the Palatine Hills Golf Course minutes away and downtown Palatine’s delicious eateries close by. Take the first step towards elevating your lifestyle. Schedule a private tour of our stylish apartments in Palatine, and let us help you find which floor plan to rent! Text to include that you want to be hidden until user toggles the more link.